Avidartisan DIY Tool is a one kit including all tools that vapers’ needs on a coil rebuilding. The DIY Tool kit by Avidartisan contains 8 kinds of tools which are very helpful on coil rebuilding. 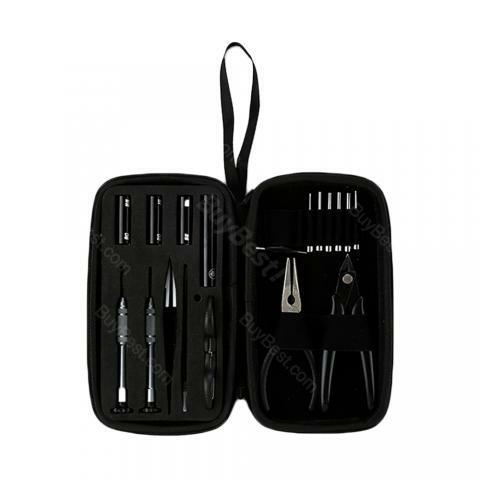 Diagonal pliers, Needle-nose pliers, Scissors, Elbow Tweezer T3, Ceramic Tweezer, Phillips screwdriver, Flathead screwdriver and Coil JIG with 6 heads are made of high quality material, easy to use, durable to bear. Nice handy tool kit, very easy to use. Avidartisan DIY ist wirklich super und sieht auch richtig edel aus! Vor allem in der Tasche!